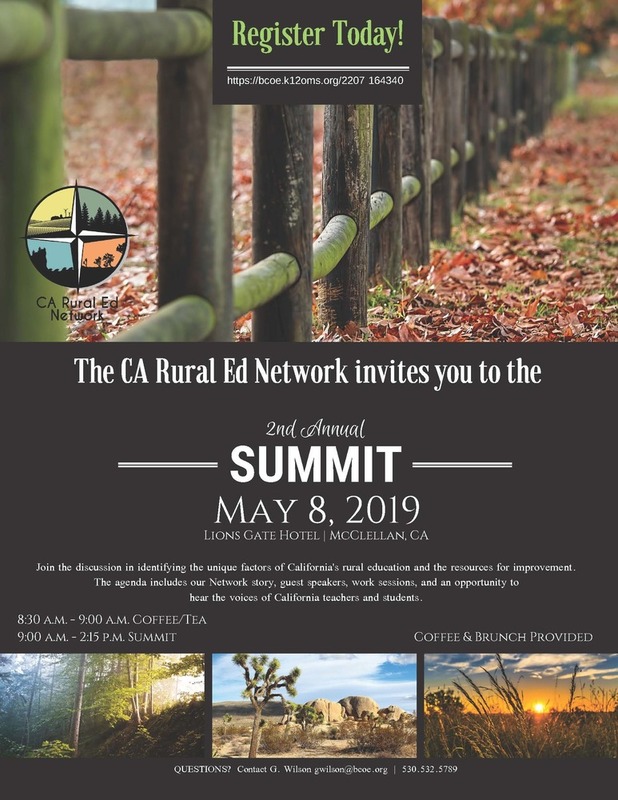 Register today for the California Rural Education Network Summit on May 8, 2019! Join the discussion in identifying the unique factors of California's rural education and the resources for improvement. The agenda includes our Network story, guest speakers, work sessions, and an opportunity to hear the voices of California teachers and students. There is no cost for registration, and a brunch will be provided.